I guess I can be grateful that as a child, food to me was never about hunger. I grew up seeing a lot of hungry children having spent part of that childhood in the Philippines, but I was one of the lucky ones. As a kid, I was always fed at set times. I don’t really have any memory of ever feeling starved. Only memories of feeling more than full. (My parents are the kind who make you eat every last grain of rice off your plate; every last spoonful of milk from your cereal). Therefore, the feeling that I really attributed with food in those days was comfort. When being good in Sunday school was completely painful, my only hope was that the cotton-candy man would be outside with his sweet clouds of pink and blue. In the afternoons, tired from playing outside all day, I looked forward to merienda-our afternoon snack. Usually a banana q-bananas on a skewer with caramelized sugar. And because the sun was unforgiving, I spent a lot of my earned money on tubes of ice candy. I don’t know where this idea stemmed from in my subconscious thoughts, because I hardly even saw my mother cook as a child. (In the Philippines, if you’re middle-class, the help usually prepares the food). However, I can certainly say that that same feeling of accountability still greatly affects how I think about food and cooking. 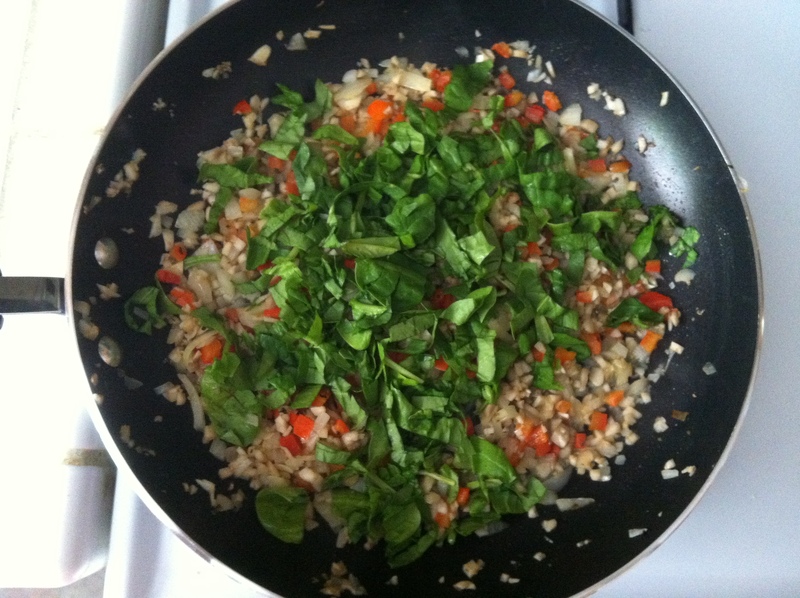 (I am now studying food at university as a nutrition major). I still have quite a long ways to go before I can have the confidence to consider myself some kind of chef, and it is quite intimidating most times, but to get there I have to continue to try! 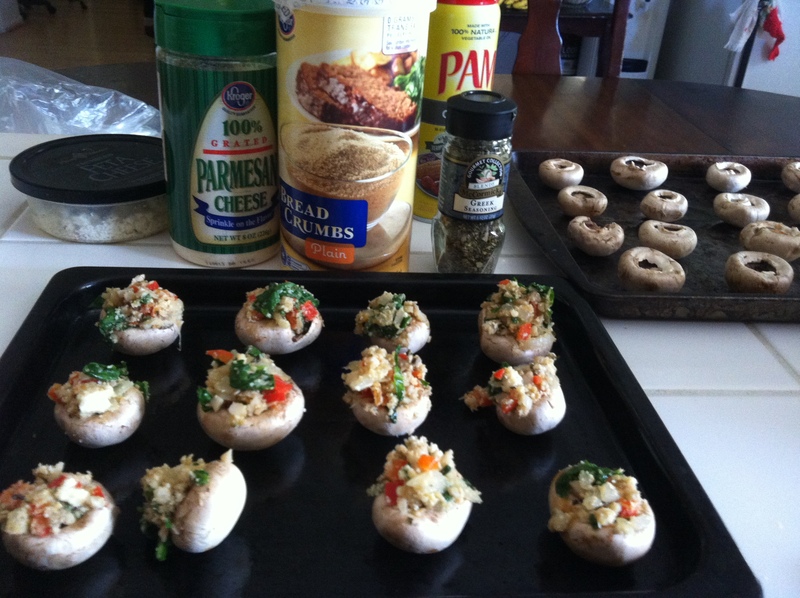 I made a recent attempt the other day-stuffed mushrooms. I know a lot of people enjoy these, but no one ever has them unless they’re eating out! I don’t know why, because as I learned, they’re actually quite simple and inexpensive to make! 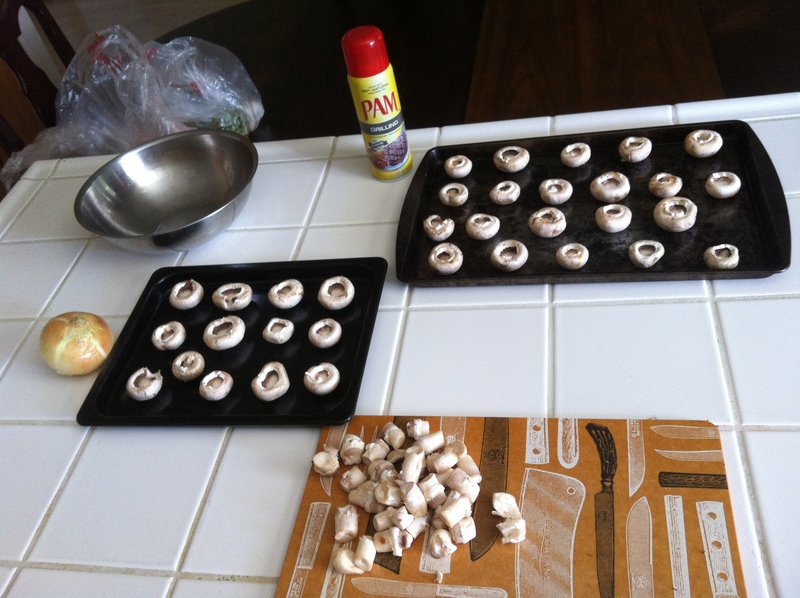 The most time consuming part was wiping down each mushroom. Not bad for you! Filled with veggie goodness! O.k. -I guess not all veggie, but I love cheese! As you can see, I tried to have fun. Also, I know I am studying to be a dietitian but I am not always trying to be super healthy. I want to learn technique first. But maybe next time I’ll start trying to make my own bread crumbs. I read the ingredients on that Panko stuff, and it’s unnecessarily NOT good for you!! How about you? Any thoughts on food and cooking?